Come April and appraisals stare you in the face. And the best time to start preparing for them is now. Don’t wait for the last minute — it will only make you more anxious. Performance appraisals should be an ongoing developmental process, instead of a formal once-a-year review. It must be closely monitored by both the employee and reviewer to make sure targets are being met. By preparing yourself diligently all through the year, and demonstrating cooperation with your reviewer to develop your role, you will create a positive impression. Performance appraisals often are not exactly what we expect or want. Frequently, the emphasis tends to be on what you did not do or what you did wrong, rather than on accomplishments. Somehow, your boss may have a tendency to let the negative dominate. How could your performance be improved? Were there any organisational/ management issues that affected your performance? How could these be resolved? How well did you contribute to the performance of your team? Were your training and development needs met? What are your continuing development needs with respect to your job? How will they be met? “In order to assess your own performance objectively, try viewing it from your manager’s perspective. Be conversant with the company’s assessment policies and study the performance appraisal documentation carefully. Go through it step-by-step, anticipating comments and preparing your responses,” advises Rishi. Understand your main role. What knowledge, skills and attitude do you need to be successful? Quantify your achievements as far as possible and document how they have contributed to the organisation’s success. What has gone less well? What can you do better? Most performance reviews include a self-appraisal section where you should enumerate your year-long successes. “People often have a really hard time talking about themselves in a positive way,” observes Anuj. Put that aside. “This is a business exchange. These are things you’ve worked hard for, and you want to bring them to the table,” he says. Preparation is the key if you’re aiming for a raise or a promotion. Read up on negotiating strategies. Ask your boss about your company’s promotion policy, so you can gain the knowledge and experience required to advance. “Also, ask your boss how he/ she moved up in the company and about the challenges he/ she overcame,” says Chetna. Even with all your preparation, your performance appraisal is unlikely to be entirely positive. “Obviously, whoever is doing your review will look for both strengths and weaknesses,” says Rishi. The employee must be prepared for that and say how they plan to improve. Don’t react emotionally to the negatives — remaining businesslike throughout the review is important. Make a list of things you plan to accomplish prior to the next appraisal period. Put it in writing. Each item on your list should be specific, measurable and realistic. Biological products often represent the cutting edge of medical science and research. Also known as biologics, these products replicate natural substances such as enzymes, antibodies, or hormones in our bodies. Biological products can be composed of sugars, proteins, or nucleic acids, or a combination of these substances. They may also be living entities, such as cells and tissues. Biologics are made from a variety of natural resources—human, animal, and microorganism—and may be produced by biotechnology methods. 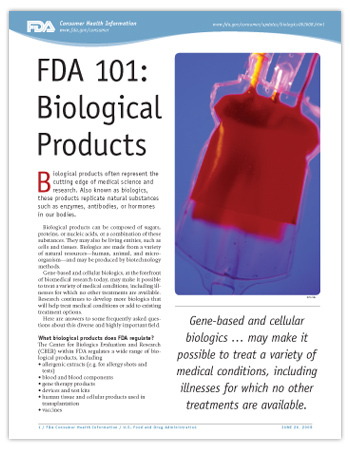 What biological products does FDA regulate? Communication has come a long way.It is a set of standards of acceptable behaviour you need to follow when online, and includes rules you need to follow while sending and receiving formal business missives. Why do you need netiquette? It ensures the correct message gets across. 1. Why are you writing to me? State the purpose of your e-mail — it is a good practice to have a subject line that explains what follows and how high on the priority list it should be. The subject box, which is part of the compose e-mail form. Here, state the reason for your mail. If you are writing it to apply for leave, you could say ‘Leave application’. Address people you don’t know as Mr, Mrs, Ms or Dr. Address someone by first name only if you are on a first name basis with each other; it is okay, under these circumstances, to use first names on a formal business missive. If you do not know the name of the person, or whether it is a man or a woman, it is best to address the person concerned as: Dear Sir / Madam, Whomsoever it may concern, The Manager; etc. 3, And your point is? Verbosity and extreme terseness are two ends of a spectrum, you should try for the middle — state your point without sounding rudely brief or chatty. Never use ‘sms-ese’ or informal abbreviations in your email. U instead of you, 2 instead of to or too, plz instead of please, thanx instead of thanks and 4 instead of for are a strict no-no. While are all right for personal e-mail, they show a level of informality not encouraged in formal business communication. Frequently used abbreviations you may use include FYI (for your information), Pvt., Ltd., Co., etc., OK. Though using a spell check is a must, don’t rely on it completely. The most common areas of errors and confusion are — two, too and to. Wrong: I would like two order too other books two. Correct: I would like to order two other books, too. Good grammar is very important. A correctly framed sentence, with proper punctuation in place, is what you should aim at. Be very careful with commas, especially, as they change the meaning of a sentence. Wrong: All foreign tea, tree, oils are free from duty. Correct: All foreign tea tree oils are free from duty. Though a friendly tone is encouraged, basic corporate etiquette rules do apply. So, maintain a well-mannered, friendly polite stance. Gender-neutral language is politically correct — couch your e-mail accordingly. This essentially means you should not assume a person’s gender on the basis of the designation. Keep the e-mail neutral. With worms, viruses, and spam, nobody wants to open attachments anymore, not even if the e-mail is from one’s own mother. If you do need to send an attachment, confirm this with the recipient first. Keep It Short and Simple. Use simple sentences, words that don’t need a dictionary. Use universal formats — not all systems support HTML rich style, or tables and tabs. You could lose much by way of appearances if your recipient’s system can’t support all that fancy formatting you spent hours working on. Smileys and other emoticons are a way to add ‘body language’ to e-mail. When used appropriately and sparingly, smileys do bring a touch of personalisation to otherwise impersonal mail. Of course, due care with regards to the appropriateness of the communication must be taken. You would not use emoticons in job application covering letters, while delivering bad news (delay in order, loss of job, etc). Use discretion. 🙂 OR 🙂 Just a smile / can be used for greeting or making a point gently. 😦 OR 😦 To show mild displeasure or that something is not going the way you want it to. 😉 Equivalent to a wink — used to convey that a particular comment is a joke and not to be taken too seriously. ;-> To be used sparingly, and with people you know well, as this signifies a provocative comment. After inspecting a food, drug, medical device, or biologic establishment, FDA prepares a written report of its inspection findings, following a debriefing. This report is intended primarily for internal FDA use and is not provided to the inspected institution at the conclusion of the on-site visit. To provide the facility with its own written list of discrepancies noted during the inspection, FDA developed form FDA 483, “Notice of Inspectional Observations,” issued by the field investigator. Form 483 should contain only those observations that can be directly linked to a violation of regulations—not suggestions, guidance, or other comments. Although the 483 does not contain references to the regulations, each observation should be directly traceable to a section of the applicable regulations. Items placed on a form 483 are the opinion of the FDA investigator on the scene, and may be subject to review by others within FDA. Current FDA policy requires that the agency write a follow-up letter to clinical investigators and IRBs. When the items on the 483 are confirmed in that letter, they may be taken as an official FDA position. Conversely, there is no guarantee that the follow-up letter will be limited to the items listed on the 483, as additional review by FDA headquarters may identify significant regulatory violations that were not listed on the 483, which will be included in the follow-up letter. Nevertheless, this does not mean that a 483 should be ignored. A recipient of a 483 should promptly respond to FDA. An effective response addresses each item, indicating agreement and either providing a timeline for correction or requesting clarification of what FDA requires. You are currently browsing the Free to share your thoughts blog archives for June, 2008.